Chennaiyin FC hosts 'The Highlanders' at Chennai in a match that will turn out to be crucial for the current ISL champions. 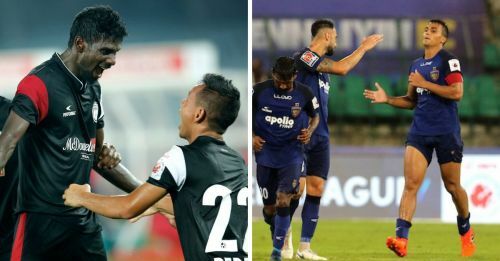 Chennaiyin FC, playing to mark their first win this season, will be a tough challenge for the positive-minded NorthEast United FC. Three points for either of the teams can bring about some 'quick ups' in the points table. Although for a short-term, NorthEast wouldn't miss the chance to enjoy the spot at the top of the table. The Chennai club would be going all out for their first points. John Gregory would be missing the services of defensive midfielder Dhanpal Ganesh. The 27-year old has been ruled out due to a knee injury and no expected date of return has been declared. The two back-to-back losses will force the manager to bring about changes in the lineup. Thoi Singh might come into the midfield and an out of form Jeje might be replaced with Carlos Salom. But then, Gregory Nelson would have to rested to open up the foreign player berth. 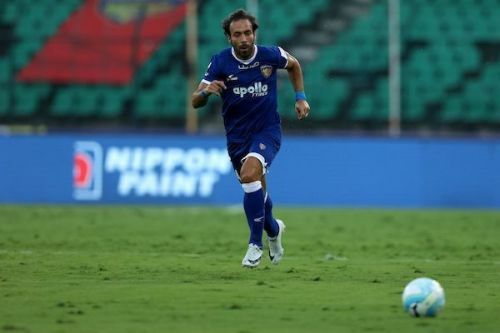 A major reason for Chennaiyin FC's poor run is the lack of teamwork. Most players, especially in defence has impressive numbers on papers. However, the win will remain distant until proper coordination is brought in the field. NorthEast United FC does not have any names on the injury list but goalkeeper TP Rehenesh will miss the game due to a suspension. They have completed two matches with a lot of hard work and a bit of luck. Eelco Schattoire would be glad with the four points so far. An away win against Chennaiyin will promote them to the top, a position the team would strive to keep. The lineup looks settled with good contributions from most of the players. Rowllin Borges has been outstanding with passing and controlling of midfield. An improvement, the head coach would want will be in front of goal. A more confident and cleaner performance from the replacement custodian Pawan Kumar would assure NorthEast an easy match against the 'Marina Machans'. As always, the midfield duties of Chennaiyin FC will be on the shoulders of Raphael Augusto. The role of the Brazilian in the playing XI was highlighted from their two completed matches. Augusto was all over the pitch making his presence felt both in attack and defence. The 27-year old has made an average of 68 passes so far and completed 12 tackles for the team. Most of the dangerous attacks coming into the NorthEast box will be from the boots of this man. Chennai will be hosting the battle of two midfield maestros of ISL. Rowllin Borges will be the most vital player in Schattoire's sheet. 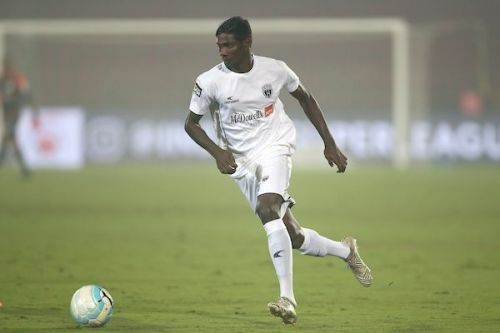 The role played by Raphel Augusto for Chennai will have to be repeated on the other side from Borges. The Goa-based midfielder has completed 129 passes from the 2 matches at 88% accuracy. Rowlin Borges will be delivering crucial balls up front, which the Chennai defenders will have to deal with, safely. A bet on this match would be tough to make. Though down after two defeats, the current champions can never be rated low. NorthEast United too are at Chennai with lots of hope. They would be determined to reach the top of the table. The winner will be solely decided on which team will be better at the midfield. Possibilities of NorthEast United FC collecting three points are high.